Attitudes about indoor tanning are shifting with growing awareness of the link between tanning and skin cancer risk. Despite this, some groups continue to tan, putting themselves at an increased risk of developing melanoma. The typical stereotype of a tan fan may be a young white woman hoping to get the perfect glow, but new research has found a surprising at-risk group for skin cancer. As young, black, non-heterosexual males experience one of the highest rates of skin cancer, researchers think they may know why: indoor tanning. The surprising finding comes from researchers at San Diego State University, who analyzed data from the 2015 Youth Risk Behavior Survey. This national survey looks at risky health behavior in public and private high school students, including participation in indoor tanning. Other studies have shown that sexual minority males have one of the highest rates of skin cancer, twice that of heterosexual males, so the researchers set out to discover if tanning is the culprit. The researchers divided their data by both sexual orientation and ethnicity. They discovered that black, sexual-minority young men were either just as likely or even more likely to participate in indoor tanning than white females. Hispanic, sexual-minority young men also had a high rate of indoor tanning, higher than Hispanic females. This tendency to tan could help account for the 4.3% to 6.6% skin cancer rate observed among sexual-minority males. Offhand, it may seem the aim of indoor tanning is to darken skin color, so the popularity among black and Hispanic young men may seem surprising. However, tanning does offer other benefits. Exposure to UV radiation in a tanning bed can release natural opioids within the brain, inducing relaxation. This could help these teens cope with psychological stress related to discrimination against their sexual orientation, the study authors speculate. To these teens, tanning is less about outward appearance and more about inner healing. The study authors point out that knowing ethnicity and sexual-orientation risk related to indoor tanning is important. By targeting young, black or hispanic, sexual-minority men in skin cancer prevention programs, educators may be able to help change their risky behavior and reduce their cancer risk. As well, dermatologists or family physicians may now know to question these teens about their tanning behavior, assessing their skin cancer risk and offering advice. Although a handful of states, including California, have banned indoor tanning for teens, this ban does not extend nationwide. The restrictions may also not be 100% effective, much like restricting access to alcohol and cigarettes do not completely curb teen drinking and smoking. Teens continue to tan despite the risk to their future skin health. Indoor tanning is now classed as a Group 1 carcinogen, the highest cancer risk category. By emitting both UV-A and UV-B radiation, indoor tanning is as risky as prolonged sun exposure. Previous studies had linked indoor tanning with an increased risk of squamous cell carcinoma, melanoma, and ocular cancer, using a wealth of data spanning decades to establish the correlation between the tanning activity and these cancers. When someone starts tanning before the age of 35, the research discovered, their risk of melanoma rises by a whopping 75 percent. Given these risks, there has been a push to ban those under the age of 18 from indoor tanning and an increased drive to educate people of all ages about the dangers of indoor tanning. Although some may think of tanning as getting a healthy glow, the truth is just the opposite. Tanning is a sign of skin damage, with the skin reacting to the UV assault by producing more melanin, the pigment responsible for the skin's darker color. This skin damage can increase the risk of skin cancer as well as premature aging, with a loss of elasticity that may trigger wrinkles at an earlier age. Many women have discovered that the beauty benefits of tanning in their teens have given way to unsightly wrinkles and leathery skin at too early an age. 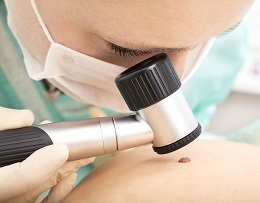 Knowing the most at-risk groups for skin cancer can help dermatologists target their patients who may need some extra examination. However, skin cancer is a potential risk for all patients the moment they step our their door and into the sunshine. Encouraging the avoidance of indoor tanning and the wearing of sunscreen can help reduce skin cancer risk. 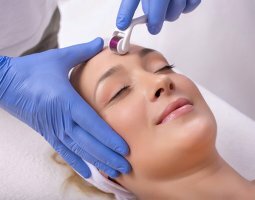 Visit MedicaDepot.com to learn more about or to purchase skin care products, dermal fillers, and other medical devices at low wholesale prices.